Stress is always better utilized when regarded as a “positive challenge” rather than a negative threat. For example, think of Tough Mudders. Tough Mudders are 10 to 12 mile runs with 25 obstacles in between. People crawl in mud under barb wire, jump in freezing, ice-cold water, and even voluntarily risk getting shocked. 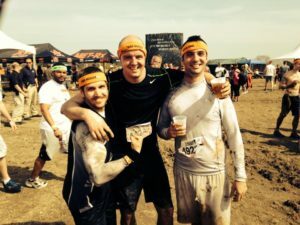 If we forced someone to do a Tough Mudder, it would be considered cruel and unusual punishment. Yet, people will travel hundreds of miles and pay hundreds of dollars just to have the opportunity to participate- and they do so with a smile on their face and a song in their heart. This begs the question: what’s the difference? What makes one scenario cruel and the other scenario pleasurable? The answer is simple: the forced situation is regarded as a negative threat, a “have to”, and a burden, and the other is regarded as a positive challenge, a “get to,” a choice, and an opportunity. We all face stress in life, but how you look at it is up to you. Personally, I hate the terms, “manage,” “reduce” and “eliminate” in talking about stress. In using them, we make stress seem like a chronic nuisance. In reality, stress is simply energy. When properly perceived and harnessed, stress is useful and adaptive. However, it only becomes this way, if we label it this way- and that choice, is up to you. The greater the challenge, the greater the reward.